Mentoring – Page 2 – Gretchen Kreahling McKay, Ph.D. Among the issues I hear from both students and faculty across institutions, including my own, is a statement faculty often make to student athletes who take their classes: “You are not here to play football” (or fill in whatever sport). Faculty say it when players have to miss their class for sports games. Students say they hear it from faculty often. But the truth is, to say they are “not here to play [insert sport here]” is not fully true. Coaches play an important role in recruiting every incoming class. I knew that intellectually, but I really did not understand how the coaches play an integral role in the recruitment of an incoming class. 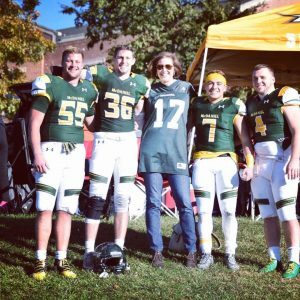 Until I began to mentor the football team and took a front row seat to the academic cycle of the team and a coach’s life, I did not realize how vital they are to the admissions enterprise. For a college like mine, which is dependent on tuition revenue, student recruitment is key. While we have lots of outreach and marketing, it is often through a coach that a student first learns about an institution and has his or her “first touch.” Coaches want talent for their teams, and they spend a lot of time in high schools recruiting top students. Thus, many times the student’s first interaction with a college institution is through the coach. In a focus group a few months ago, football players at my institution from a range of years and ethnicity, were asked about why they are at college. They all emphasized that they wanted to get an education. That was the first answer to the question, “Why are you here/Why did you come to college?” Yes, they were first recruited to play their sport by the coaching staff. But they understand what is at stake. They emphasized that they very much love their sport, and to play, but they also want an education. Thus, by their own answers, football was not the primary reason that they were in school, and yet, as the book I am currently writing will hopefully demonstrate, playing football is an important identity marker for them, and it is often their ticket to college. Without the team in high school, a coach’s interest, they may not have found a path to college as easily as they did through their sport. Faculty, perhaps we should be a bit more reflective and interested in our students' sports identity and be more willing to help them make the most out of their four years, in the classroom and on the field. 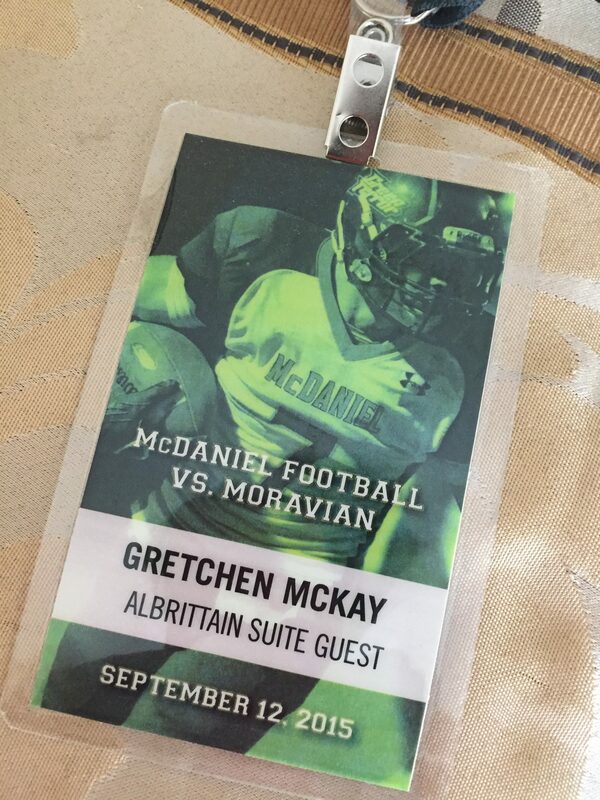 My role with the Green Terror Football Team at McDaniel College is one of the highlights of my career. I have learned so much from the entire team: all the players, the coaching staff, parents, and other fans. The entire enterprise has been thrilling to learn about and to witness first-hand. I love working with every single player on the team. Today I want to highlight the students of color on the team. This is in no way means that I have not learned from other players; I have a chapter published on the class with the "Football Romans" (fall 2015) and they totally changed my life! 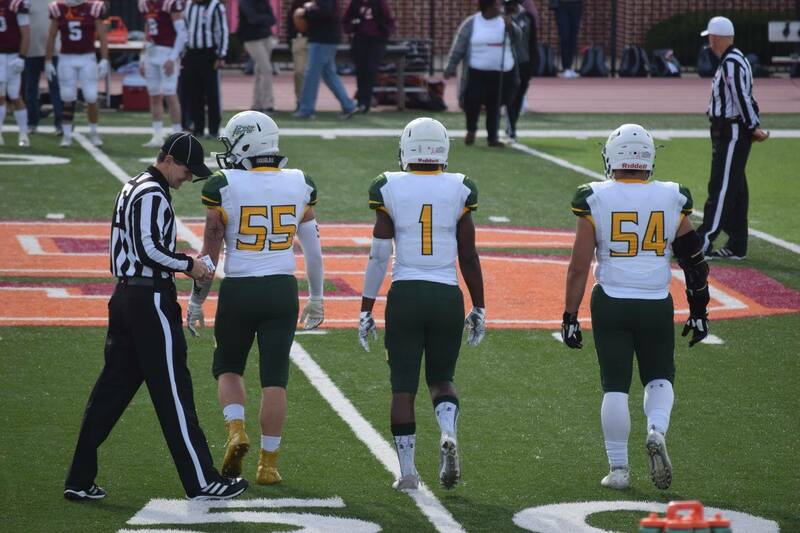 But one day head Coach of the McDaniel College Green Terror Football team, Mike Daileytold me that we are the most diverse team in the NCAA Division 3 Centennial Conference. After that conversation, I did some research, looking at the rosters of the opponents. He is, of course, right. When I consider the students that I have had the privilege to mentor, there are many minority students who have come to my office. I don't know what it must be like to be a person of color at a predominately white institution. From what they have confided in me, it is sometimes difficult. I can appreciate from their descriptions the difficulties they encounter. I value each and every one of them for their bravery and for their tenacity and for their strength. I have learned so much from these students, and I am very, very grateful. I hope that I have become a better professor. I think that by listening to them and their perspective, I have. For instance, I realized that not offering a course in African-American Art, since I am an art historian, is biased and shows my own ignorance. So, I asked one of the players to do some background reading with and for me so that I can offer that class in the coming years. He jumped at the chance, and I've learned a lot from his work and his enthusiasm on the project. I have also learned that while our backgrounds are different, and our cultural interests may differ, we are, ultimately, very similar. We have families, who are sometimes sources of strength and also sources of conflict. We struggle, sometimes with studies, sometimes with finances, and sometimes with others. It is true that football is a unifying force. Our entire culture could learn lessons from this team that works together #AsOne (one of their Twitter hashtags). I am very much amazed at their sense of brotherliness and family. They truly do work #AsOne. "We are all traveling through one another's countries. But it is no matter if we meet as strangers, for we can join forces, and learn to love. And where there is friendship and affection, there is the place we can all call home." 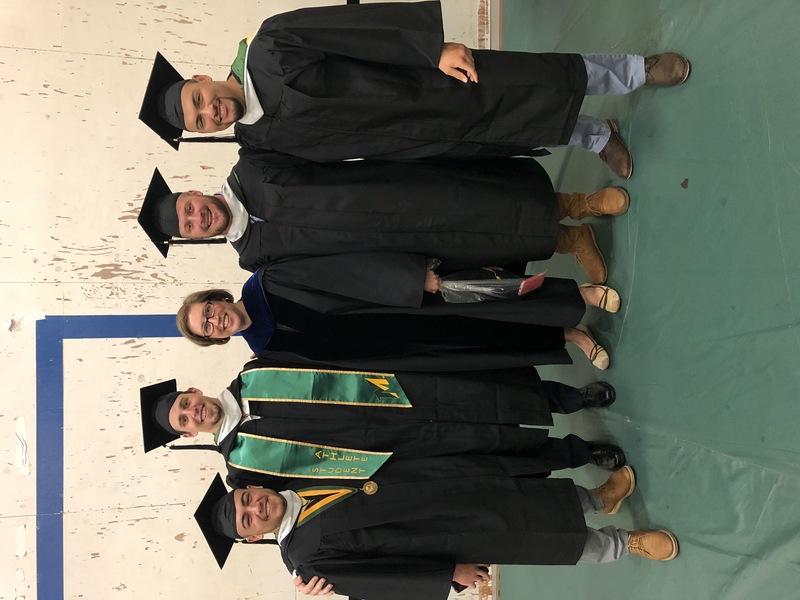 I am very grateful for the students that have passed through McDaniel, starting as strangers, and then, in some cases, becoming friends, as we join forces to make it through the various hurdles - educational, financial, emotional - on the journey through college. Thanks to each of you - minority and majority student - for teaching me so much and for trusting me to help you through. For those of you who haven't read this blog before, I am the faculty mentor to the McDaniel College Green Terror Football Team. I am a tenured Professor of Art History, and have been in my role with the team for about a year and a half. During the season I attend practices and games, and when I am not able to get to an away game I watch on live-stream and to the likely amusement of the players, tweet during all four quarters of the game. But most of my work is helping students become more successfully academically. This can include helping them with time management, study skills, securing a tutor, or even sometimes helping them connect with various resources at the institution. I have learned a lot through this academic mentor role. 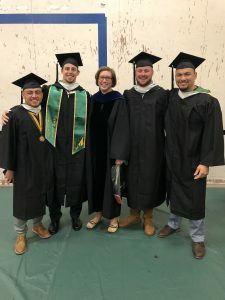 By being willing to listen to them before attempting to "fix everything," I have learned a lot about what higher education does well for students, and where it falls short. Thus, I have decided to write a book about what these football players are teaching me and can teach other institutions. I have a vague outline of the book in mind, but the working title is: Understanding and Supporting the Student Athlete: A Guide for Institutions of Higher Education from a Faculty Mentor of a Division Three Football Team. I realize that is quite the mouthful, and it may change as the book takes shape. However, I'm very passionate about this topic and was just on the campus of the Maine Maritime Academy, holding conversations with coaches, staff, and faculty about supporting student athletes. Among the issues I hear from both students and faculty across institutions, including my own, is a statement faculty often make: "You are not here to play football" (or fill in whatever sport). Faculty say it when players have to miss their class for sports games. Students say they hear it from faculty often. But really: to say they are "not here to play X sport" is not fully true. Unbeknownst to most faculty (or at least this one) is the role coaches play in recruiting every incoming class. For a college like mine, which is dependent on tuition revenue to pay the bills and make an annual budget, student recruitment is key. Oftentimes a student is only made aware of the institution because of a coach's approach. Thus, if that student then enrolls in the institution, and they play the sport, to say that the student is not there to play the sport is disingenuous. They are there to play their sport, but also to get an education. In a focus group a few months ago, football players at my institution from a range of years and ethnicity, were asked about why they are at college. They all emphasized that they wanted to get an education. That was the first answer to "why are you here" that the whole cohort gave. Yes, they were first recruited to play their sport by the coaching staff. But they understand what is at stake. In a future post I will write about the the importance of sports as an identity marker, an issue that is particularly true for minority and/or first-generation students. I am still researching that particular idea. But faculty reading this post: if you have student athletes in your classes, know this: they want to play their sport. They were most likely recruited for your institution by a coach to play their sport. But they are very much interested in their education and want to do well and succeed. They just need a little understanding and support. Today I want to tell you about a few of my students and their successes. These are the moments that bring me a ton of joy and make me feel that I am fulfilling my purpose. I have titled this post “Student Triumphs” because I do feel like in these cases, these students really did overcome a lot of different types of hurt and difficulty. I am not using their real names, because I do not have their permission to use them. So, I’ll describe the situations and my role in each. Also, I am writing this post because we are entering the time of year when professors start writing posts about dying grandparents and other "excuses" that they feel students offer for not doing their work. There is a general tendency for writings about how students seem to get on professors' collective nerves, and I want to counter that narrative with a few stories. One student had severe dyslexia. The members of our Student Academic Support Services Office told me that he really had trouble reading. He was in my First Year Seminar, and in that class I use all Reacting to the Past games, which I have written about before. I quickly got PDFs of all the readings he would have to do because that accommodation was due to him. We played three games that semester and the first was the Athens game. It was rough for this student. Reading Plato’s Republic was a struggle and speaking at the podium was also difficult for him. But when he got up to give his speech during the third game, he did a really good job. No, he was not brilliant in the sense that I could have recorded it for all future students to see. But for him? It was marvelous. He included humor. He responded when people asked a question. A few times he even wryly answered them with a smirk and quick retort. I nearly cried that day in class. That was his triumph. And I am glad I had a hand in it. Another student wasn’t in my class, but I do feel like he has had a triumph. He’s one of the football players I am mentoring. He was generally irritated at our campus and faculty, not feeling that anyone other than the coaches had any true interest in him as a student on the campus. As a minority student, he felt that most professors didn’t care about him much, or believed that he had much to offer. I remember letting him sit in my office – and just talk. I think he was there for about an hour and a half. A few other students came in (also football players, as it turned out, who had questions about the next day’s class). I watched him watch that exchange, while he was also looking at his phone. But I could see him taking in the interaction with these two other football student-athletes, another minority and one not. That interaction was characterized by some humor, but also a kick in the pants that the two of them get on the assignment because we had a short Reacting-style game the next day. I have been working with him for over a year. And this semester? At the mid-term e had all Bs in his classes. I am not saying I had a direct hand in that outcome, but that is a triumph for him, and I cheer him for that just as much as I do when he's on the field and playing his sport. There is a student who is very, very shy. She told me that she lives to read books and her goal is to be a copywriter after graduation (and PS she got a job doing exactly that!). She’s was a wonderful student, but often was quiet in class. She wrote on one of her reflections that her favorite parts of my classes were the Reacting game. She said that the games made her get out of her shell. This reflection of hers made me look back on the class and her role in our Reacting game. I recalled how she was not loud (it’s not in her nature), but she was forceful in focusing attention to the issues about which her character cared in the game. To win, she had to bring those issues up. She did. And for her, that is a major triumph, too. I am so grateful to my students that they come along on the journey with me and have these successes. They make me feel triumphant, too. As a student, do you have a triumph? Faculty, do you have a story to share in which a student made progress or had a victory of sorts? Last week I had my first class with the very large Medieval Art course, with thirty students. I know some who might come across this blog would scoff at my calling this a "very large" class, but at my small, liberal arts college, a class of 30 is the exception and not the rule. In fact, it is hard to find rooms that hold this many students. In fact, that may be a future post: figuring out the configuration of furniture to support student engagement in this classroom, one of the only ones for a large class and large-screen image projection. After our first class meeting, I wanted to touch base with one of the football players I am mentoring. I know him pretty well. He was in my class in fall of 2016 when I first met him. He's a starter on the team, and I've met his parents. I wanted to talk to him about his grades last semester, which were not stellar. He shared with me that he knows his grades aren't good, he does know he has got to buckle down, but he also lamented that nearly all of his classes require him to take tests. And then he bombs them. And then it's over - on to new material. "High-stakes end-of-semester summative, standardized testing is broken, and so we must design challenges that help students to build on what they know and learn from what they don't, growing stronger from each test instead of feeling defeated by an exam score that cannot capture growth or change." He said, "I wish classes had grading opportunities like you do. " I have started to eschew exams and tests. In their place I have critical analysis papers, visual analysis writing assignments, creative assignments where they must apply information to a new context, role-playing game speeches and reflections, blog posts. And in all of it, art is at the center of the inquiries, as well as contextual historical information that is at the heart of my discipline of art history. I urge everyone who cares one whit about higher education, or are in it, to read Cathy N. Davidson's book. We need a new higher education system to help our students to prepare for lives in a ever more complicated world. And if you still give exams, what do you think of a student who is demoralized with poor performance and yet can't seem to master it? Should they just be "out"? Tough love? I can't quite embrace a philosophy that at the core is about gate keeping - keep the barbarians from storming the city. What "city" are we trying to protect? Why would we want to keep some students out? I am truly puzzled by professors who want to show students the door. That is just not my way. 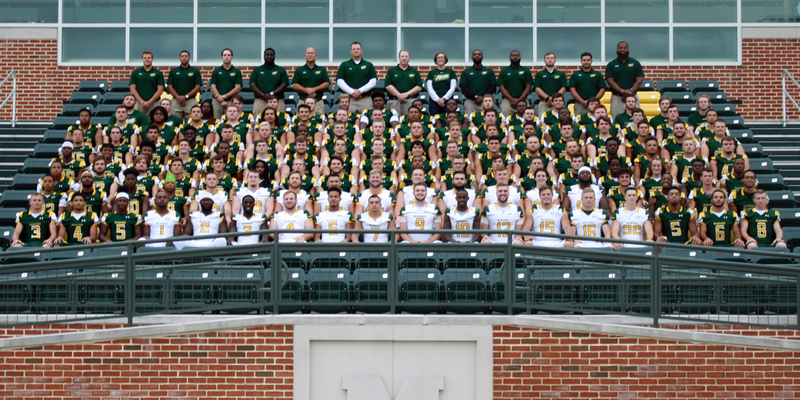 As those of you have followed my blog are aware, I am the faculty mentor to the McDaniel College Green Terror football team (a NCAA Division 3 team). I started this role in October of 2016, so I have had just over a year of learning about this culture and my place in it. And I am still learning. In particular, there is a lot I have to understand about how to connect with young men of this age group. I will be reading The Trouble with Boys by Peg Tyre. It was recommended to me by a colleague to help me understand the developmental pathways that got boys to where they are as college men, as well as to help understand why we see them failing in some of their courses. I'm eager to get started on this work. I really want to help them do this. I am so impressed with many of the young men I have met and worked with thus far in my role as mentor to the team. But there is also a lot of personal struggle, hurt, and difficulties that they face. And it is hard for them to show, share, and/or discuss their emotions. But they have them. And honestly? Right now I do not feel very well-equipped to really know what to say or what to do. But I again remind myself that have been there before. I have started from near zero before, and then learned. 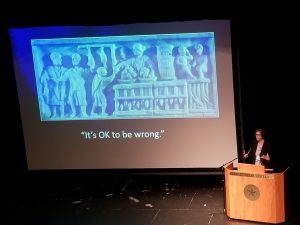 I know that I can begin to understand these issues if I employ the same tenacity I used to become an expert in art history, teaching online, and using active learning techniques. Do you have any sources or suggestions of what I could read to help understand and support young men in their college lives? Please leave a comment below! As I look over this past year, I have had a full-on education as the faculty mentor of the McDaniel College football team. I now have seen first-hand a full year of the playing of the season, the recruiting of the team, and summer camp. I have met some of the new recruits, and have gotten to know some of the coaches a bit better. It's been a long process, but one that has been very interesting. And because I am curious and love learning new things, it's been very exciting. These students move around constantly at practice. Sitting still in a 90-minute lecture must be brutal. Enter active learning, for at least part of every one of my classes. Higher ed systems are sometimes murky and unclear to students. Many students on the team are first-generation, a trend that will only continue. They are not sure what questions to ask, let alone who to ask. Sometimes our offices can act, perhaps unintentionally, that if students have to ask, maybe they should not be here. Money can be a real issue and they are not thinking long-term of how the degree will help them after college. Goal-setting and motivation for post-college plans are really important. Mentoring is not advising. I can help students navigate their course requirements as an advisor, but mentoring requires a different tack. To mentor a student is to see the whole student. I see them as football players as well as academic students. They share with me their struggles in their lives and their goals and dreams. Faculty need to know that there is a difference between these two roles, and both are very important to student success. What I have witnessed makes me more committed than ever to supporting the student athletes in my classes. I will get the chance with twenty (count 'em up, I did!) players in my Art of the Medieval World class coming this spring. I will need to be on my game for them, and those of you who read this blog regularly know that I will be. It will be a challenge, but I am determined to meet it! I hope to be sharing some of the techniques for supporting student athletes as a consultant in the coming months. I am going to be doing further study about what these players need in their lives as students to be successful on the field, in the classroom, and in life. I want to be as much of a part of that success as possible, and I want our institution to support them in as many ways as possible. If you are student athlete, what additional help would you like to see from your institution? 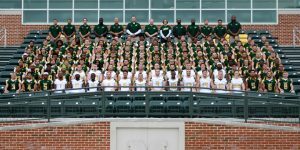 I have wanted to write a piece for McDaniel College Green Terror Football team coaches for awhile. Now that the season is over, I think it’s a good time to do so. I am amazed at how hard all of them work: the head coach, the position coaches, the assistant coaches. I don’t fully understand the hierarchy there, but I do know they all work super hard to get the best out of the students on the field, while they simultaneously emphasize the need to keep to the books and graduate. Our record this year was 3-7, which was the record as last season. But don’t let that record fool you: they are not the same team. They are much more poised and focused. They play very much more as a unit than I saw in any game in the 2016 season. Their Twitter hashtag, #AsOne, is felt and expressed by all. The refrain I heard at training camp: “Do Your Job!” was taken to heart by the players and they did that for the most part. There were some key injuries. But there always are. Yet, the Coaches kept getting them back into it, keeping student/players’ eyes both on the next game as well as reminding them about classes. It’s a really tough balancing act, and one I would have no idea how to achieve. That is why when some of my colleagues and friends jokingly call me “Coach McKay,” I wince. Because I am not a coach. I do not know the first thing about coaching. I am still smarting over the loss at Franklin and Marshall, and that was Week 3!! I am still learning the mentoring gig; coach I am not. Now the Coaches go onto the next phase of their operation: recruiting. The amount of time and commitment this part of their job requires is immense, which hardly anyone understands, particularly faculty. Last year, I contacted the Coach after the last game of the season, naively thinking that he would have all the time in the world now that the season was over. How wrong I was! He and the other coaches will now be on the road until the winter break. In January, they host busloads of potential student/players on campus, many of whom they saw in high school games every Friday night of the regular season. They then have a bit of a lull before March and “spring ball” starts. Then prepare for camp to start in August! It took me awhile, but now I get the drill. So, this post is for the Green Terror Coaches. Their support of me has been wonderful and I want to send the same to them. Go get us some great players, and thank you for all you do! I will be holding down the fort, meeting with the guys to make sure they finish the semester strong. From a grateful faculty mentor, thank you, coaches, for all that you do! On Friday I had a chance to speak at my college to some administrators and spouses of our trustees about my role with the football team and my teaching with active learning. I brought along one of the "Original Football Romans," senior Sociology major Drew Scott, and a senior business major Andre Henry, Jr., who I only met last year, but who took my class last spring (2017). The three of us were discussing my classes, my teaching, and my role with the team. In so doing, I recounted a post I wrote here for the team after their loss at Franklin & Marshall College. In my recollection of the loss, I remembered that after the game, standing with the players as they tried to absorb their loss, I had said something like, "good game, though" or something equally lame. One of the coaches said to me, "No good game when you lose like that," or something to that effect. I was mortified for saying something so stupid. 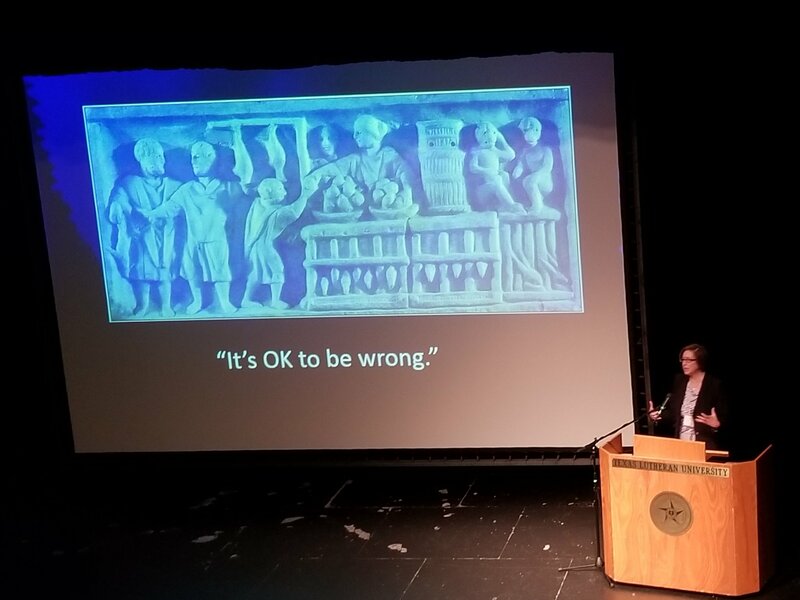 For professors, it is very hard to admit when we are wrong. At least it is for me. I don't mind saying "I don't know," but I really hate it when I say something stupid. No one would have expected me to know what to say after a loss like that. But I still felt badly that I said something so lame. They reminded me of my own words, thus schooling me and helping remind me that I am continuing to grow with them as a person, professor, and mentor. My presentation with these two star athletes and good, solid, liberal arts students reminded me that if it's OK for them to be wrong, then it is OK for me to be wrong, too. 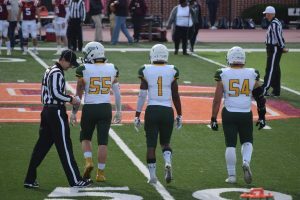 As this post hopefully conveys to all, I continue to learn from the players and coaches in my role with the McDaniel College Green Terror football team. And I am ever grateful for the opportunity.